We study the invariants of spin networks embedded in a three-dimensional manifold which are based on the path integral for SU(2) BF-Theory. These invariants appear naturally in Loop Quantum Gravity, and have been defined as spin-foam state sums. By using the Chain-Mail technique, we give a more general definition of these invariants, and show that the state-sum definition is a special case. 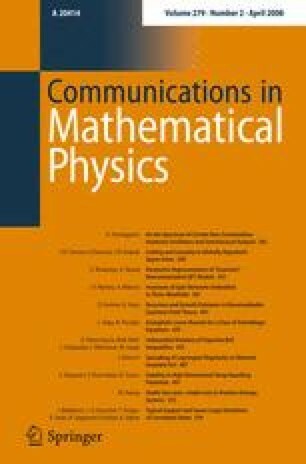 This provides a rigorous proof that the state-sum invariants of spin networks are topological invariants. We derive various results about the BF-Theory spin network invariants, and we find a relation with the corresponding invariants defined from Chern-Simons Theory, i.e. the Witten-Reshetikhin-Turaev invariants. We also prove that the BF-Theory spin network invariants coincide with V. Turaev’s definition of invariants of coloured graphs embedded in 3-manifolds and thick surfaces, constructed by using shadow-world evaluations. Our framework therefore provides a unified view of these invariants.